By now your lust for laser-precise brutality and carnal efficiency has been somewhat sedated having gotten an eyeful of the trailers one, two and three of Batman going ham in Ace Chemicals Infiltration. Now we will see Batman: Arkham Knight gracing the pages of a special DC Comics feature, joining DC’s Digital First Slate. 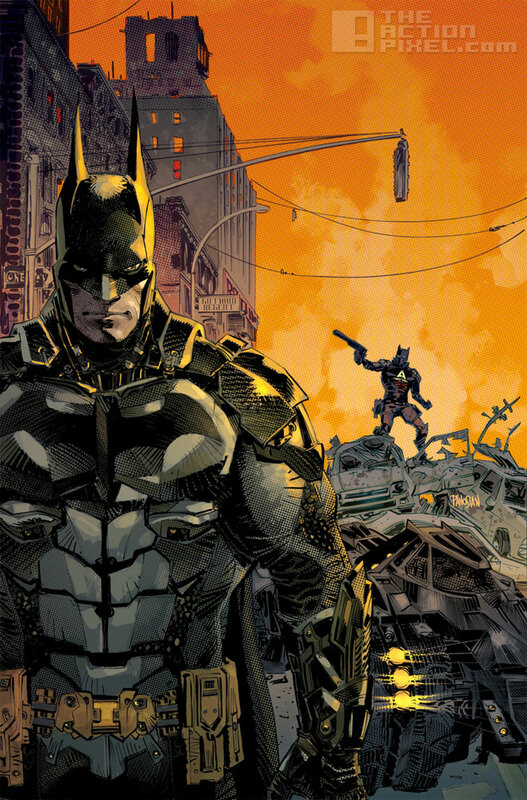 Batman: Arkham Knight features the work of writer Peter J. Tomasi, artists Viktor Bogdanovic and Art Thibert. Cover art will be done by Dan Panosian. The first issue receiving two variant covers, one made by Gary Frank the other will feature an image from the actually video game. The comic series Batman: Arkham Knight is set to be the prequel to the events in the bestselling Rocksteady / WB Games series Batman: Arkham Asylum and Batman: Arkham City. Batman battle injuries and with Joker dead and Arkham City locked away, Bruce Wayne considers if the cowl of the Bat is even needed anymore. No such luck for Bruce as new threats t Gotham arise in the form of the Arkham Knight, a villain whose very visage is modelled off of the Dark Knight. And with Batman: Arkham Knight the game coming to us in June 2nd 2015 on PlayStation 4, Xbox One consoles, and Microsoft Windows, you’ll certainly get enough Bat for your buck.